Geotab Provides Access to Valuable Insights for Data-Driven Decision Making. 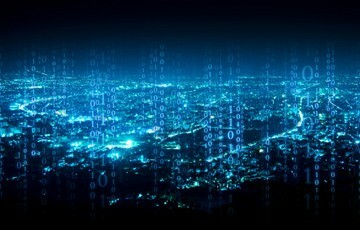 Geotab, a global leader in IoT and connected transportation, today announced the launch of its new website, data.geotab.com. Aiming to empower organizations and municipalities in the development of smart cities, data.geotab.com grants public access to intelligent datasets which provide insights surrounding smart city planning, improved productivity for businesses and safer communities. “Earlier this year, we became the first fleet telematics company to achieve one million connected commercial vehicles built on a single, open platform,” says Neil Cawse, CEO, Geotab. Demonstrating how data.geotab.com’s datasets can be utilized, Geotab was re cently engaged by the City of Columbus to integrate its Smart City dataset into their Smart Columbus Operating System (SCOS). Through this partnership, the City of Columbus will utilize data that is compiled through the SCOS and combined with data.geotab.com datasets to help improve city operations in an economical and sustainable manner.